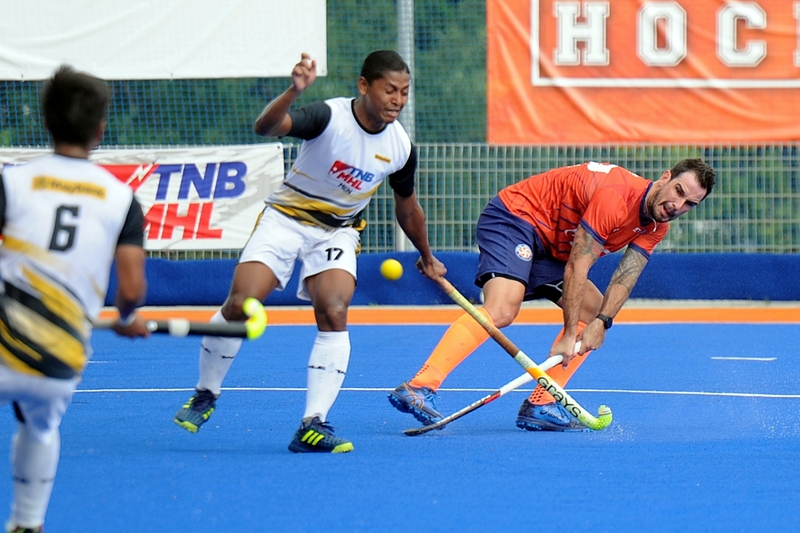 Kuala Lumpur (1 February, 2019): Dutchman Martijn Havenga scored a brace as Universiti Kuala Lumpur (UniKL) sealed a 5-1 victory over Maybank and in the process go top of the pool for the first time in the 2019 Malaysian Hockey Premier Division match at the Tengku Abdullah Stadium in Bangi today. 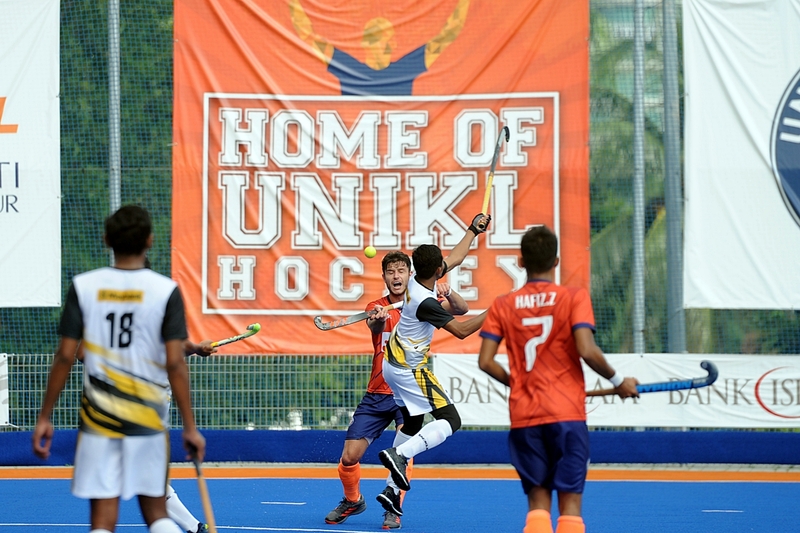 UniKL earned 16 points from five wins and a draw – one point ahead of Tenaga Nasional Berhad (TNB) who goes into action on February 3 against Universiti Teknologi Mara (UiTM). In another match, Terengganu Hockey Team (THT) outclassed UITM 5-3 in Shah Alam to stay third in the standings with 13 points. “I cannot ask for a much better score than this. Izwan scored a brilliant goal and I hugged him. It was his first in the tournament,” said an elated UniKL coach Arul Selvaraj. “This is just the first leg and it is important to top the table. The positive in this match is the players remained calm throughout the game. We are getting our structure organised and it is good for the team,’ said Arul, adding that he had to take Razie (Rahim) out of the match for several minutes as the drag-flick specialist got hit on the knee and needed treatment. After sitting back in the early minutes, Maybank earned the first penalty corner in the fifth minute but Mohamed Riduan Mohd Nasir’s flick was tucked away by Ireland’s goalkeeper David Harte. However, it did not take long for UniKL to register the first goal. It came from a direct hit into goal from team captain Mohd Marhan Mohd Jalil in the 11th minute, leaving goalkeeper Mohd Hanafi Hassan no chance at all. Six minutes later Maybank restored parity through Hafifihafiz Hanafi when he packed a powerful shot past Harte into the net but UniKL’s Dutch connection Martijn Havenga extended the lead 2-1 via a penalty corner conversion two minutes before the end of the first half. UniKL continued the search for more goals in the second half and earned their third penalty corner in the 39th minute. Havenga, who was firing blanks against Nur Insafi last week, stepped up once again and sounded the board, giving the host a comfortable 3-1 lead. However, before Maybank could settle down from the initial setback, UniKL pumped in another goal to go 4-1 up through Izwan Firdaus Ahmad Tajuddin in the 52nd minute from open play. Another Dutch player, Robbert Kemperman, extended the lead to 5-1 just before the final hooter from similar fashion. With this win, UniKL now face 2018 League champions THT in an epic clash on Sunday at the same venue.